Once upon a time, Slonie tried to draw a famous flag in his not-so-famous Cyclocross Comic. 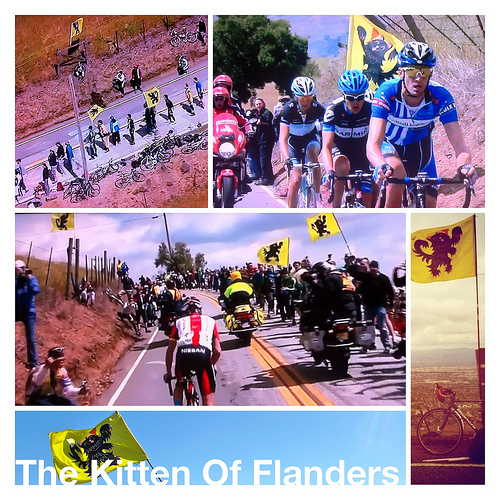 But something got lost in translation between Northern Belgium and Northern California, and the Kitten of Flanders was born. The original flag has been flown everywhere from San Francisco to Saitama, but soon you’ll be able to get this little guy on socks, water bottles, and more!